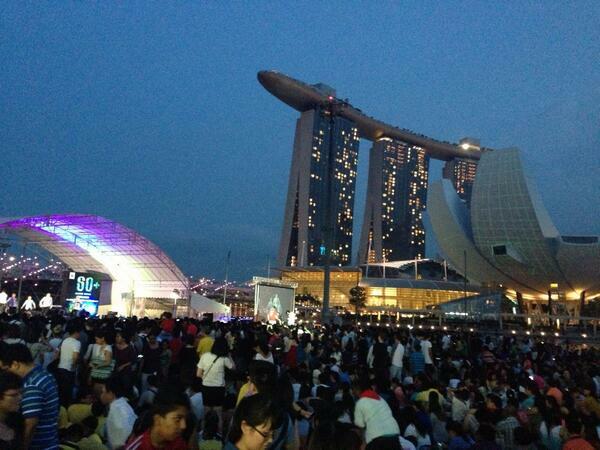 Citizens of Singapore marked the start of the new year by penning their wishes onto floating spheres. Some 25,000 spheres filled Marina Bay next to the city-state's financial district to mark its 50th year of independence. Singapore's Changi Airport has been named the world's best airport for the second year in a row. A British wealth manager who lives in Singapore has apologised for referring to public transport commuters as "poor people", which sparked online outrage. In another comment posted on Facebook, Anton Casey, a 39-year-old senior wealth manager in the financial sector, said he was washing "the stench of public transport off" him after travelling on the metro. He also posted a picture of a boy, apparently his son, sitting inside a metro train with the caption saying: "Daddy, where is your car & who are all these poor people?" Furious online readers flooded social media sites and criticised the Porsche-driving Mr Casey for his controversial comments. Mr Casey, who is a permanent resident of the country and married to a former Singapore beauty queen, said: "I would like to extend a sincere apology to the people of Singapore. 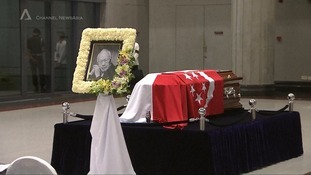 I have the highest respect and regard for Singapore and the good people of Singapore; this is my home. "I wish for nothing more than to be forgiven for my poor judgement and given a second chance to rebuild the trust people have had in me as a resident of this wonderful country."